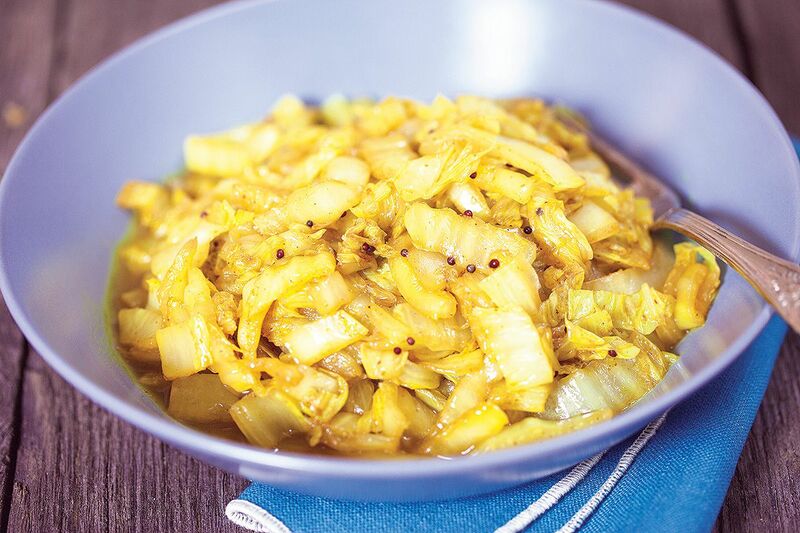 Spicy cabbage masala is a great side dish with lots of flavors. Ready is about 15 minutes and serves 4 people. This is one of those typical dished that just makes you feel good, comfort food! Ready in just under 15 minutes, this dish will surely impress you and your family. All you need to do is to follow the easy instructions for this recipe, and you’ll whip up this dish in no time! Let’s get started, shall we? First of all, start creating the spice mix, make it as spicy as you like. CHOP the garlic cloves and finely grate the ginger root. 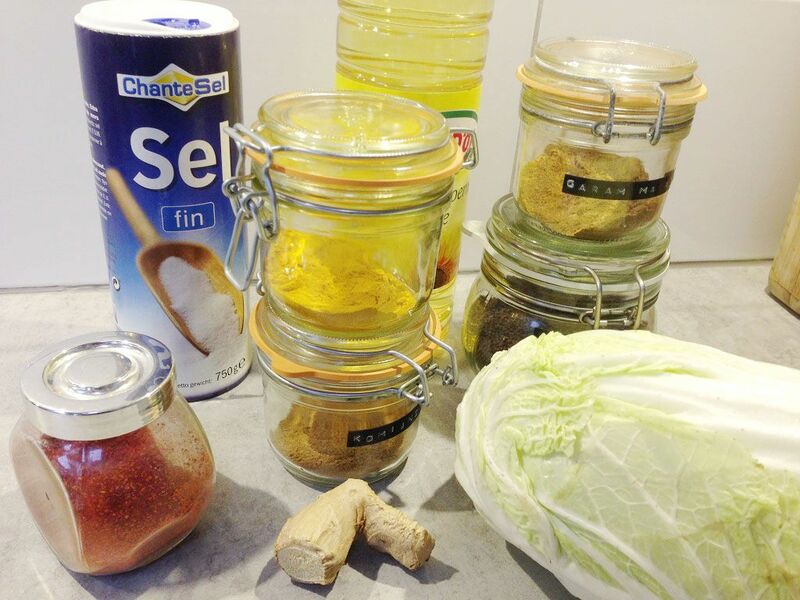 MIX cumin, black mustard seeds, turmeric, salt, red chili powder, grated ginger and chopped garlic together. 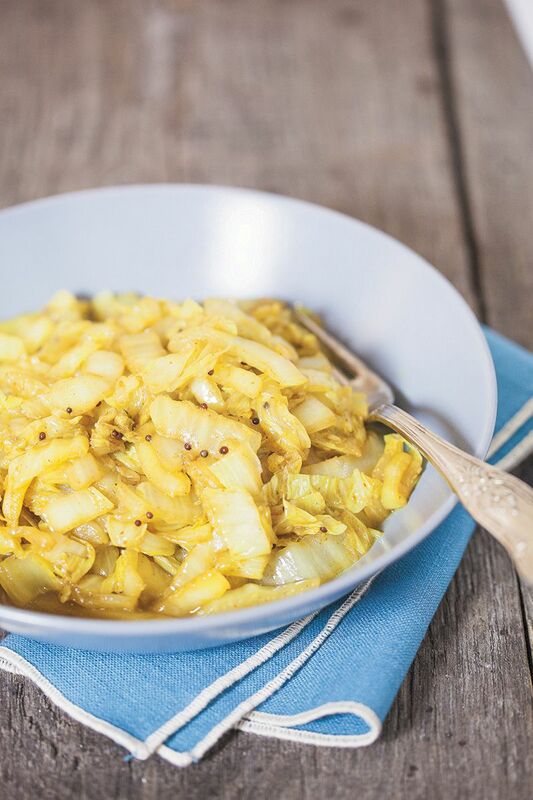 CHOP the cabbage in small pieces and set aside. HEAT sunflower oil in the large skillet, ADD the spice mix and the smell is immediately absolutely gorgeous! STIR for about 1 to 2 minutes, notice the mustard seeds popping a little bit. The garlic will turn a little bit brown, that’s when you should ADD the cabbage, stir well. Put the lid on and after two minutes ADD the garam masala. MIX it well and after another 5 minutes, still with the lid on, the crunchy cabbage is ready. If you like it a bit less crunchy, put the lid back on and cook it another few minutes. 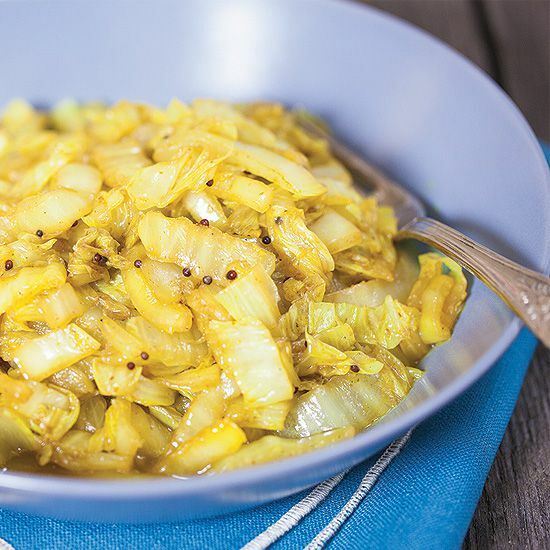 Serve as a side dish, great with rice, naan bread or roti.